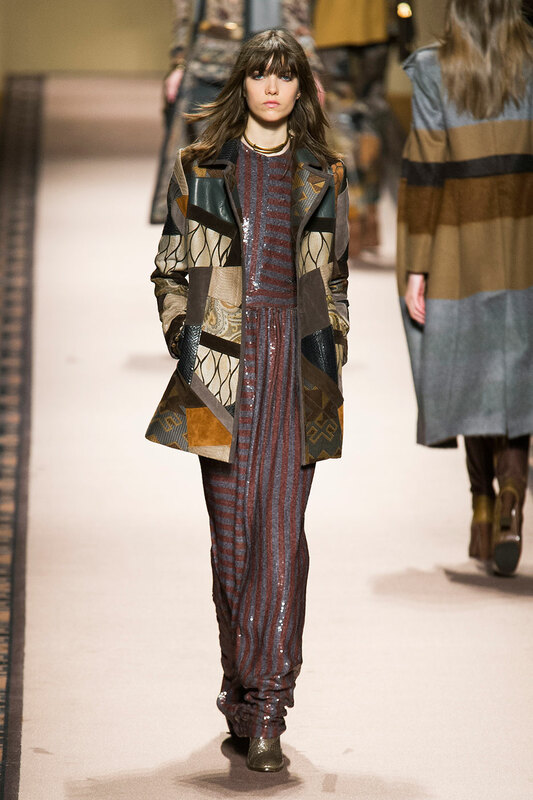 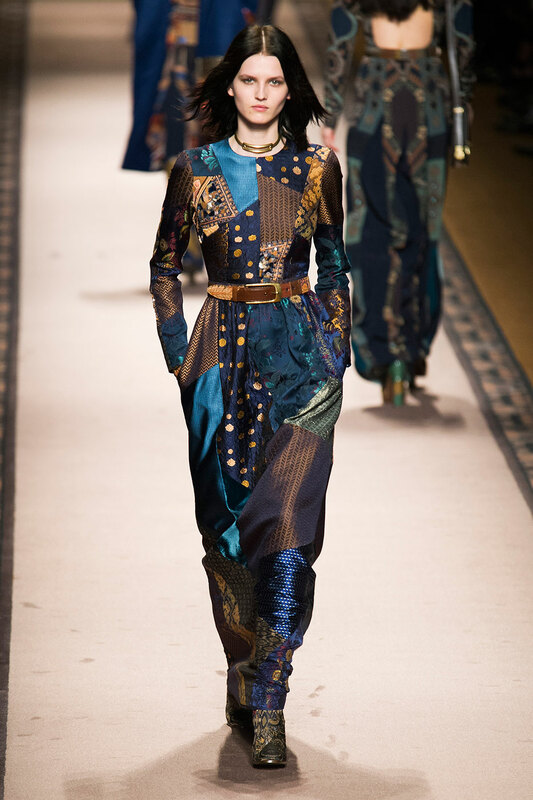 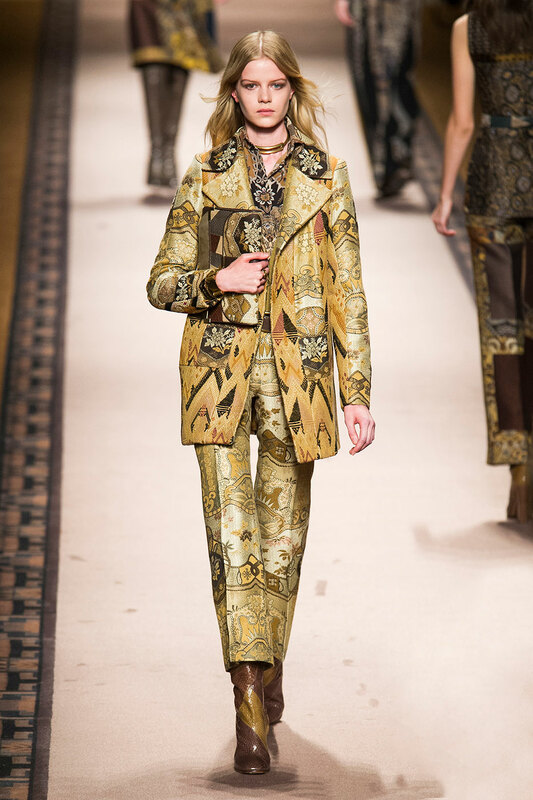 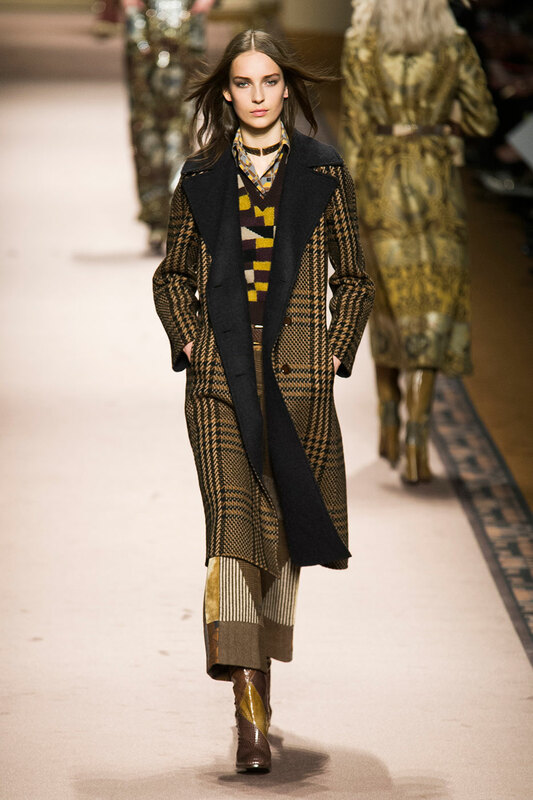 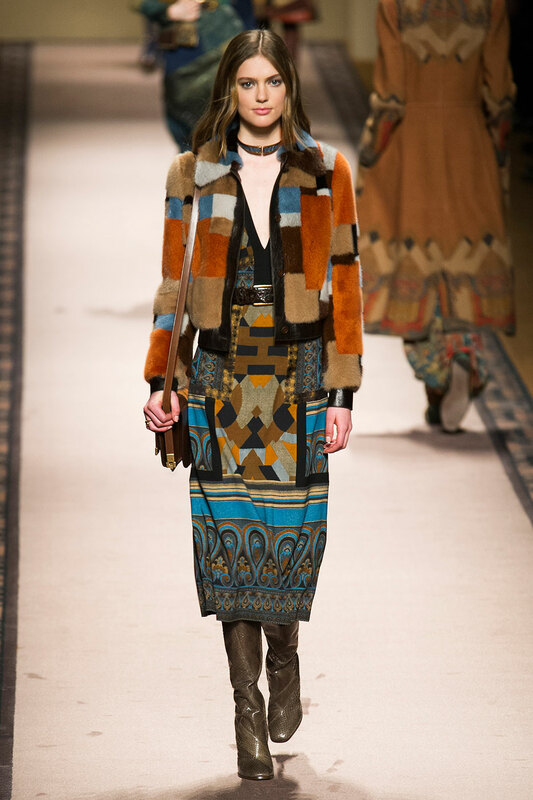 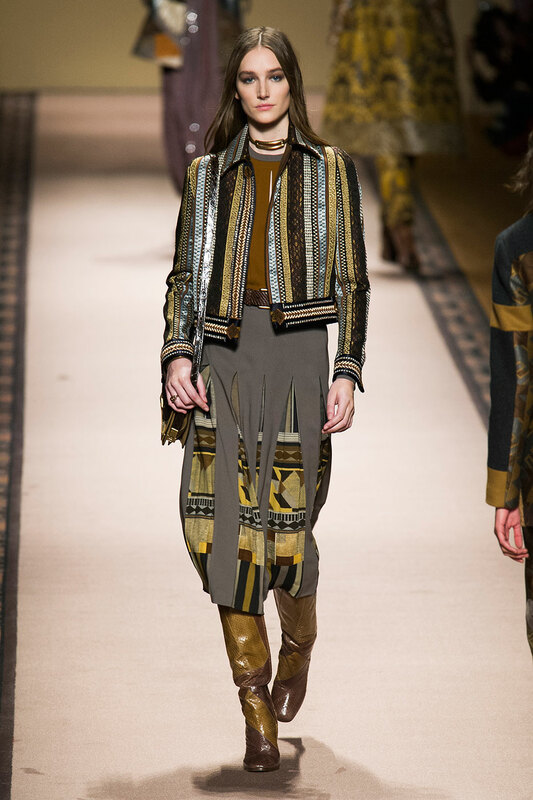 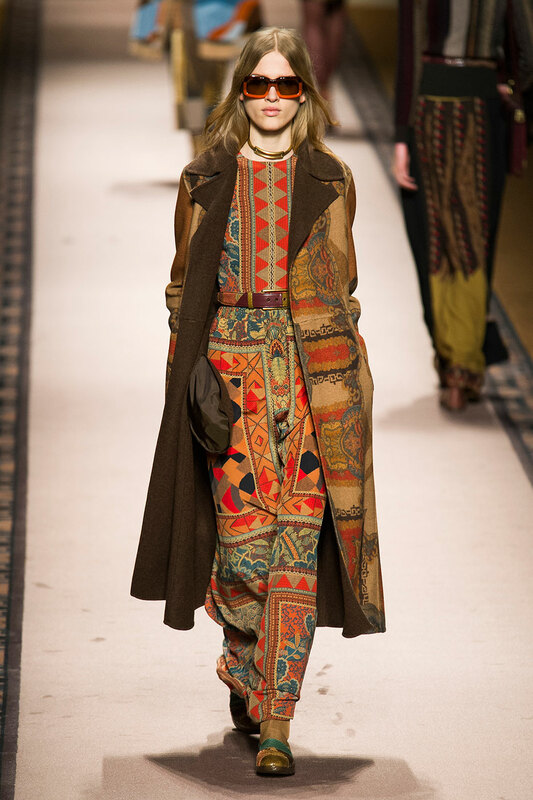 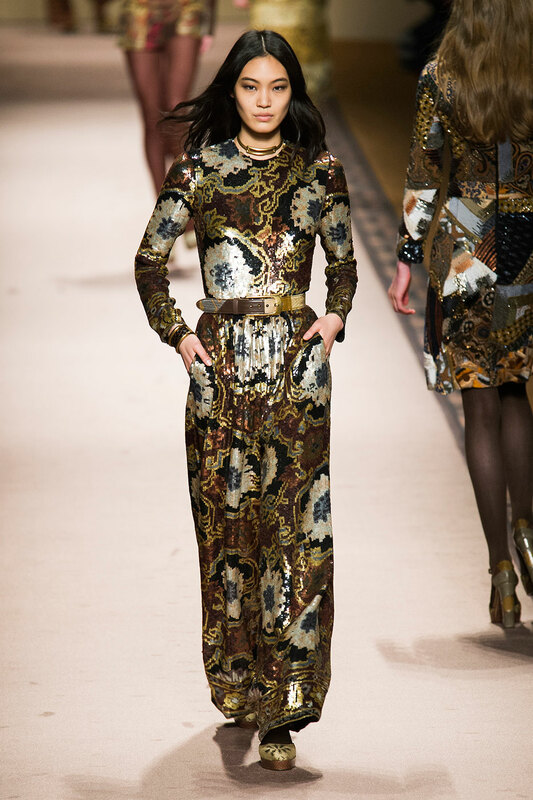 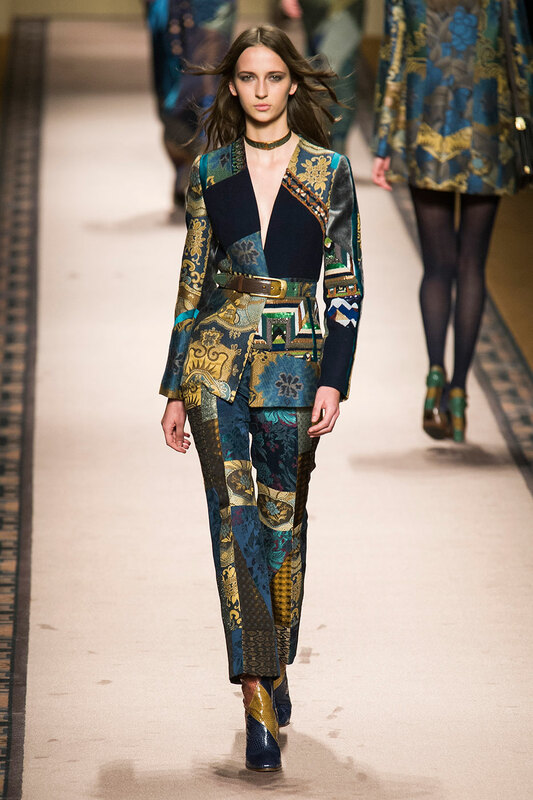 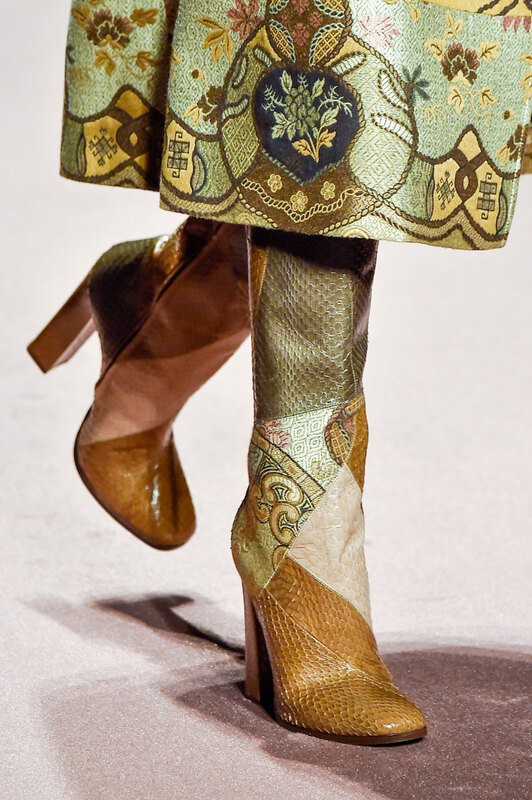 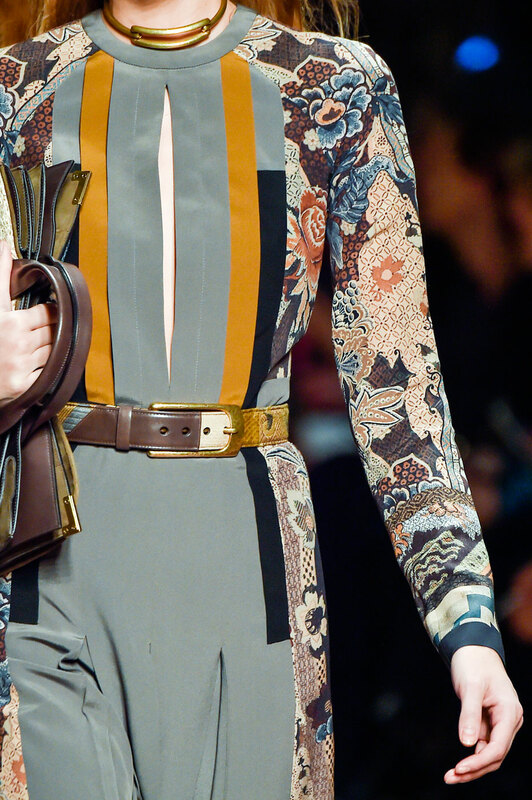 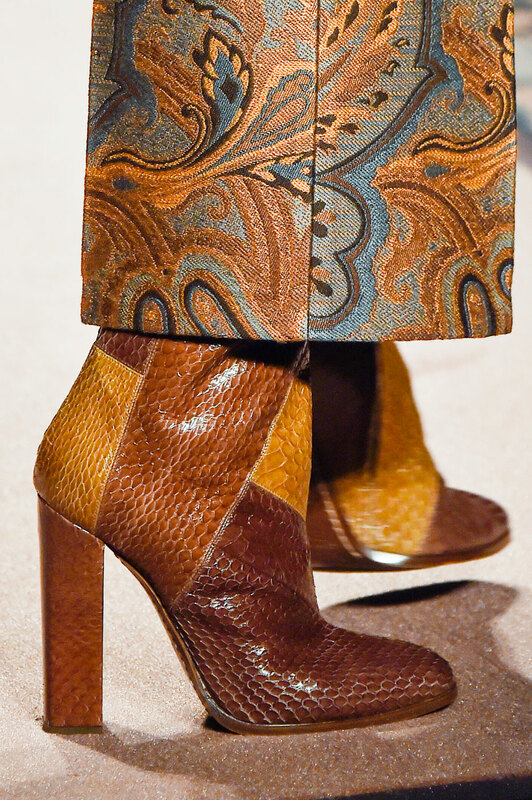 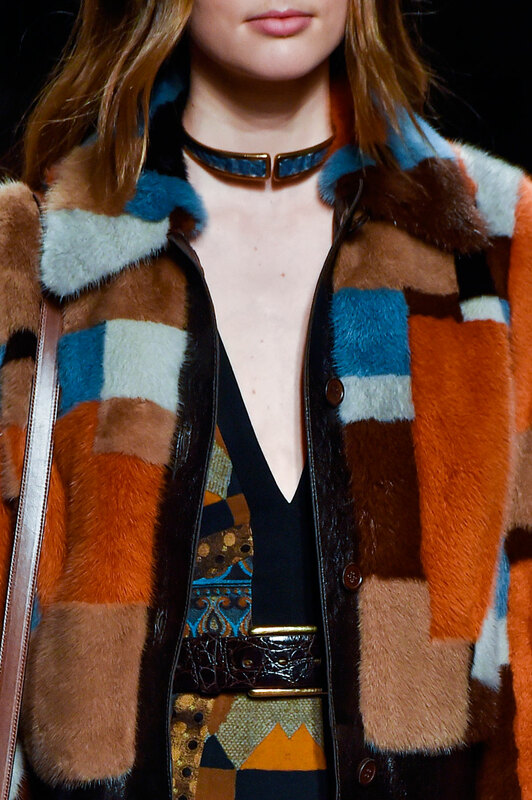 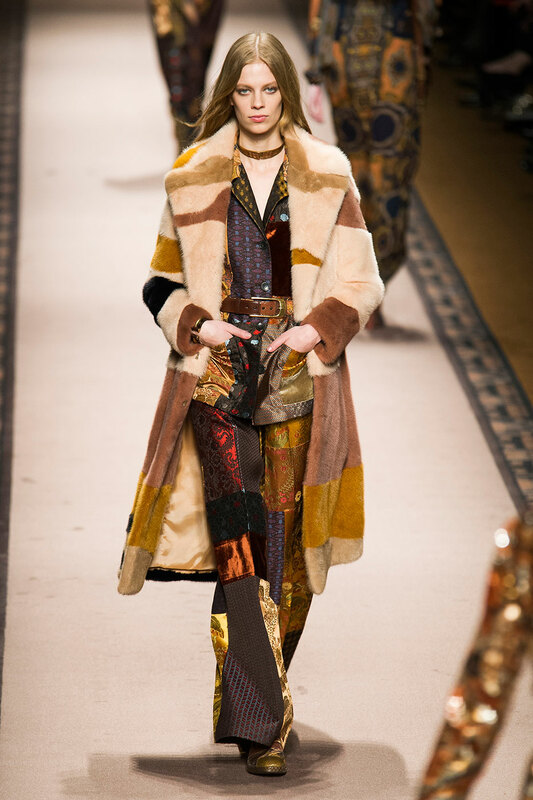 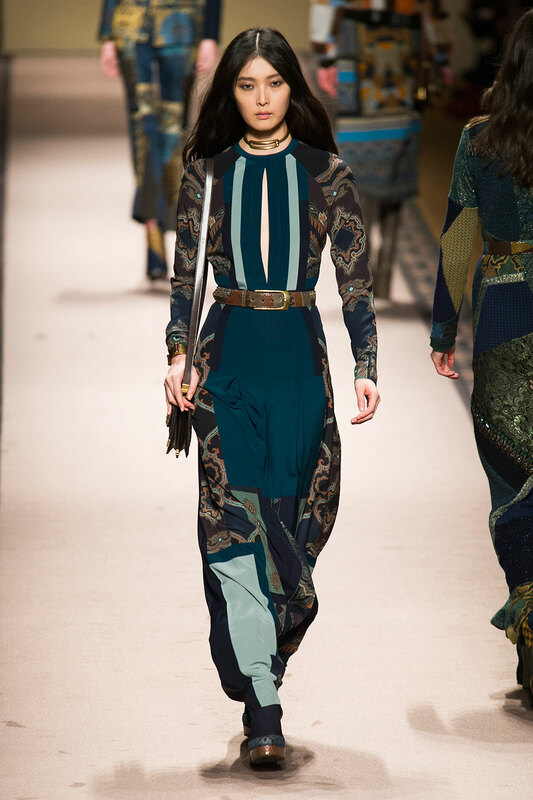 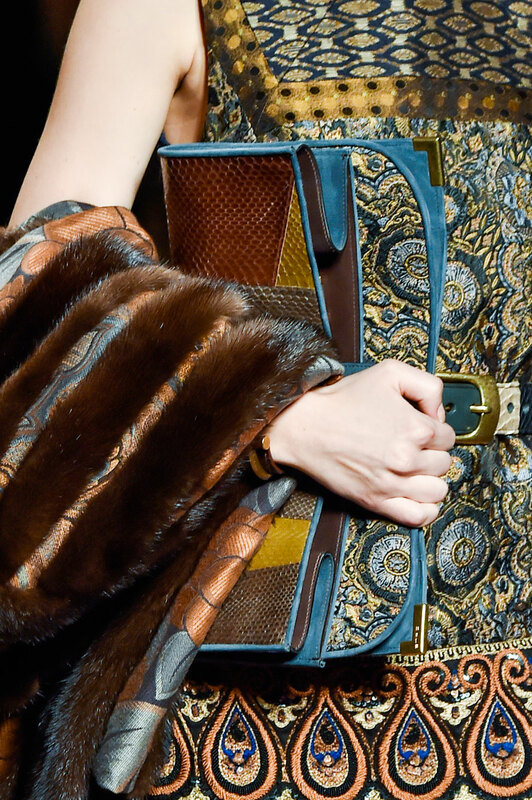 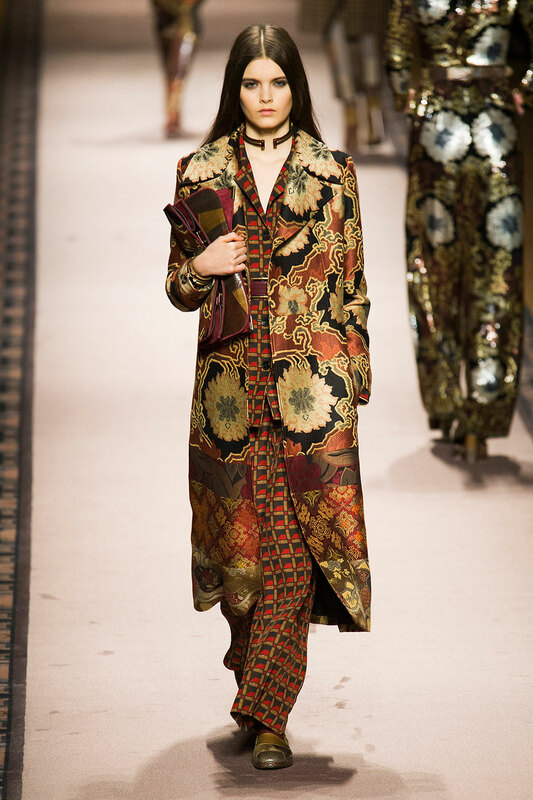 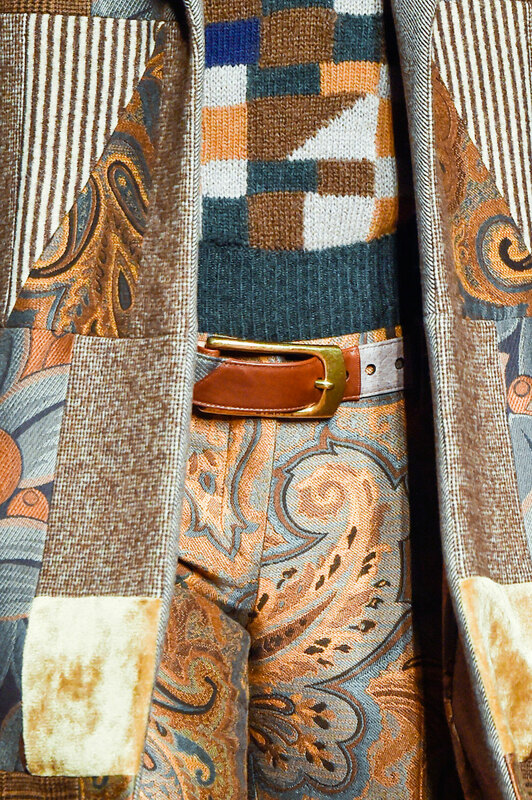 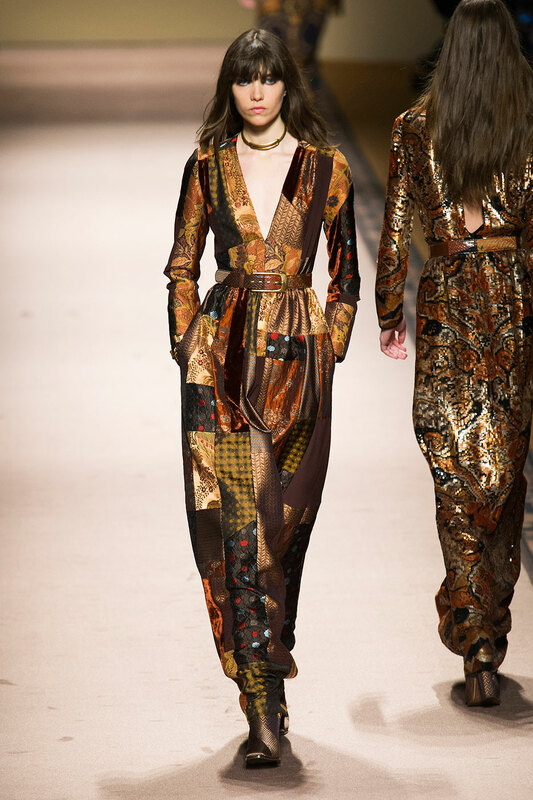 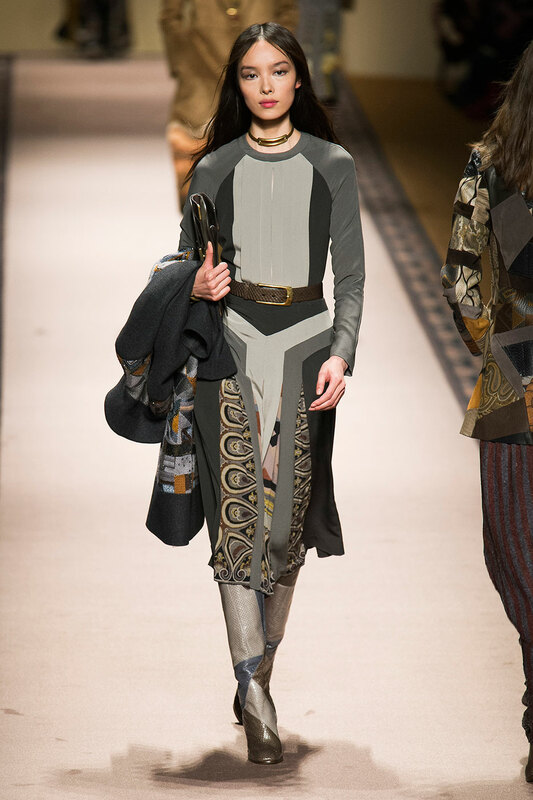 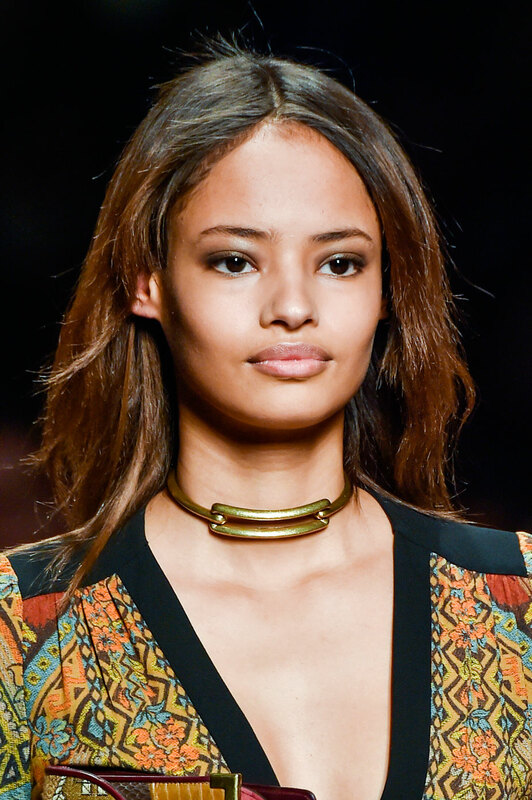 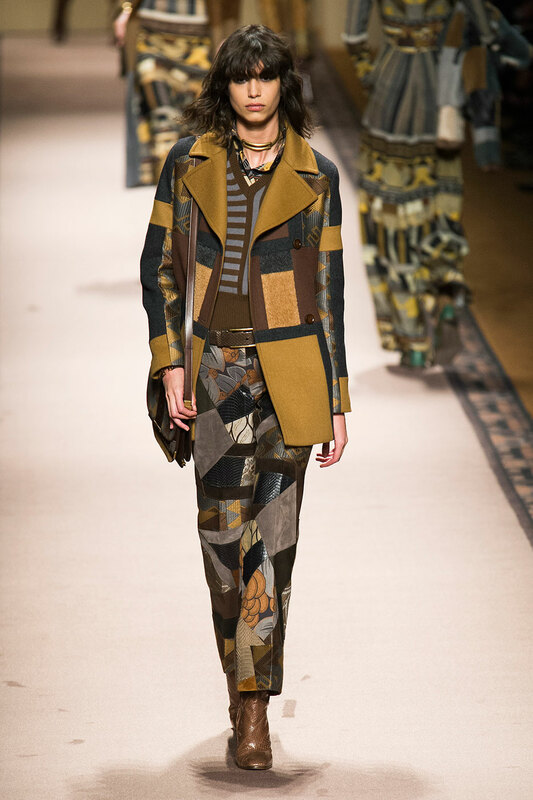 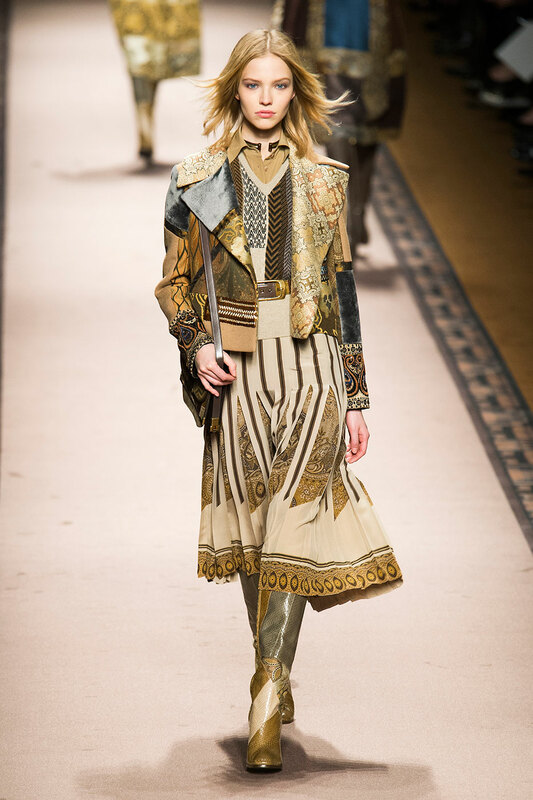 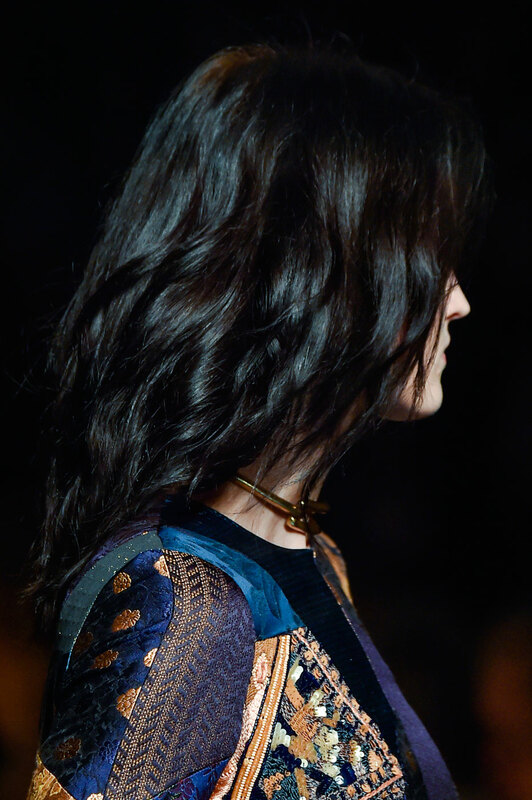 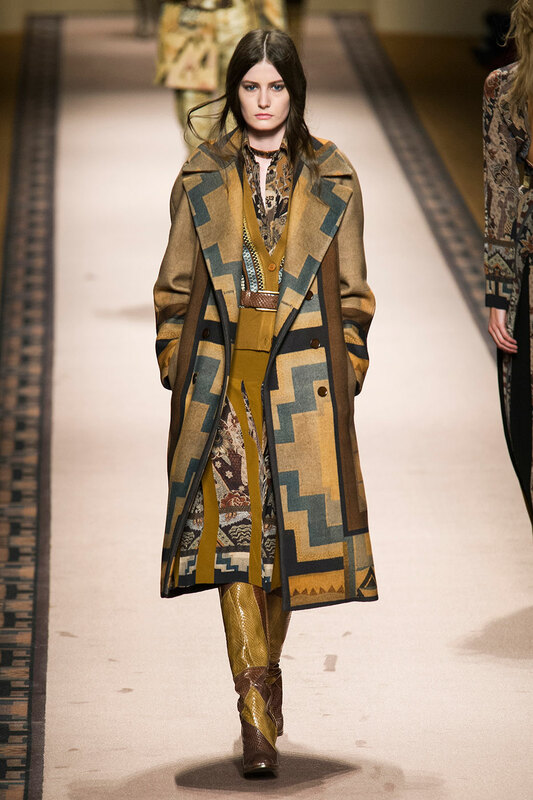 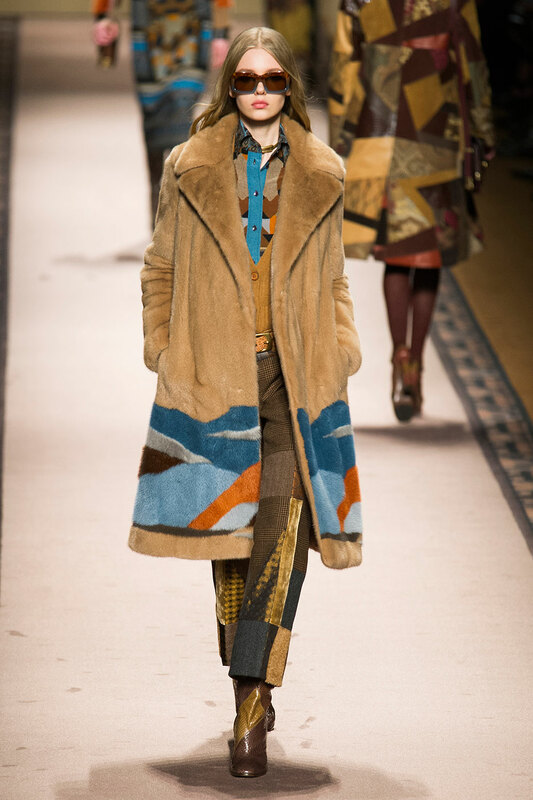 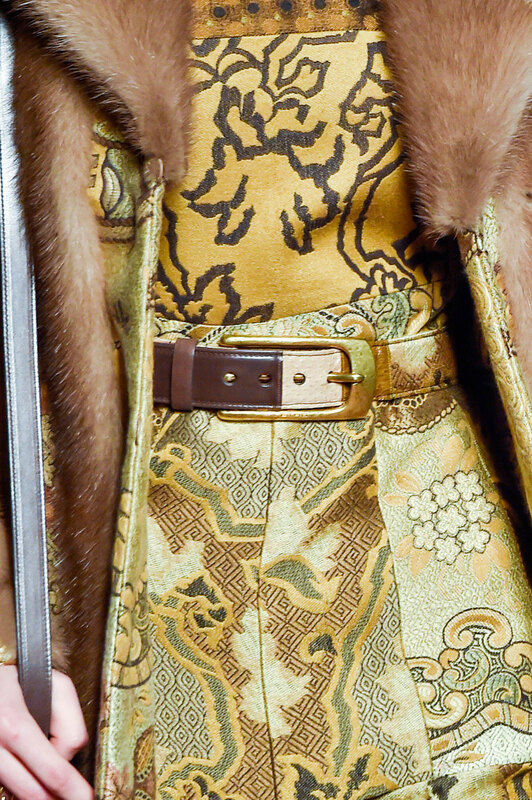 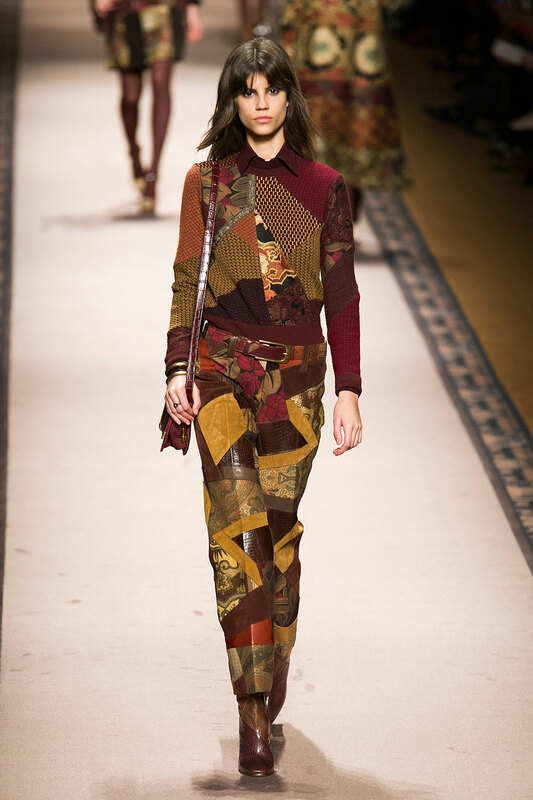 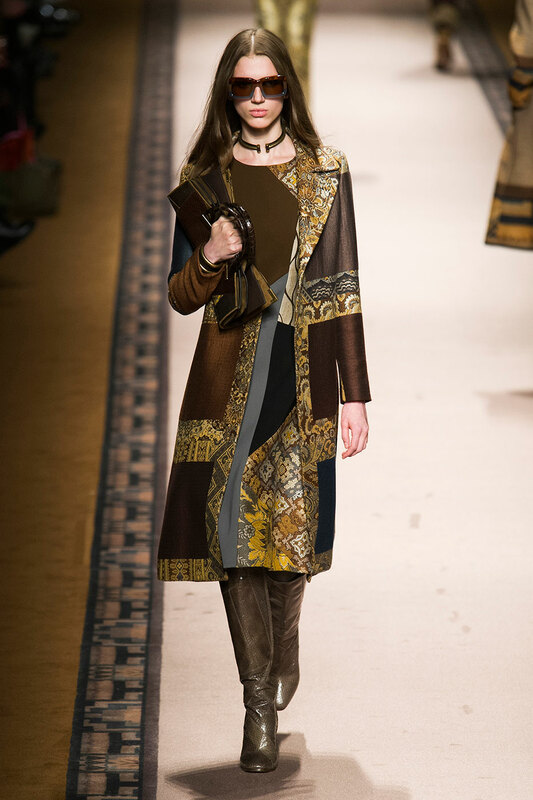 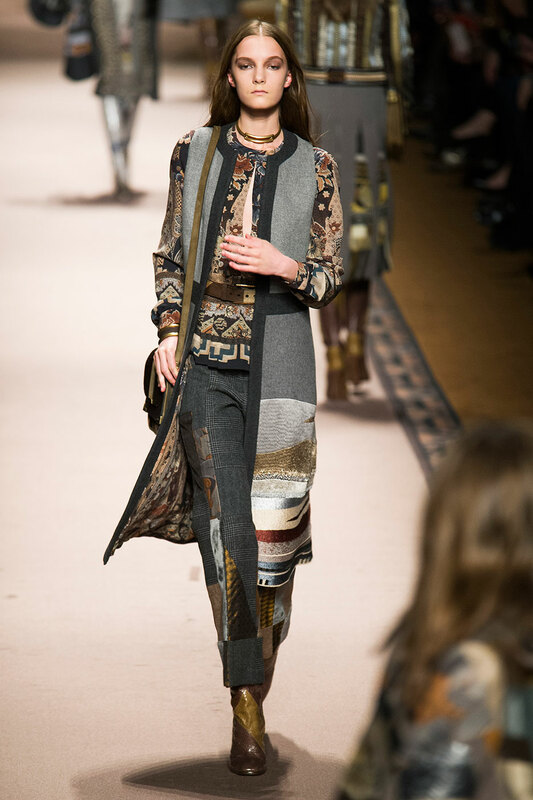 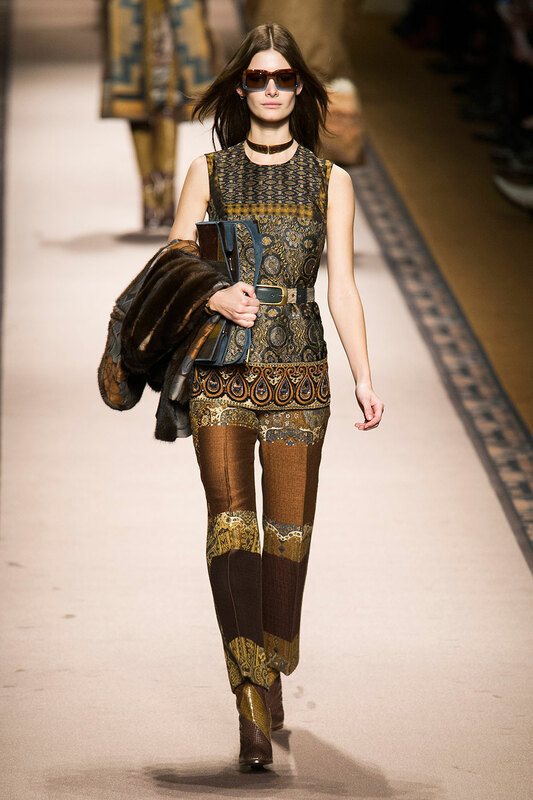 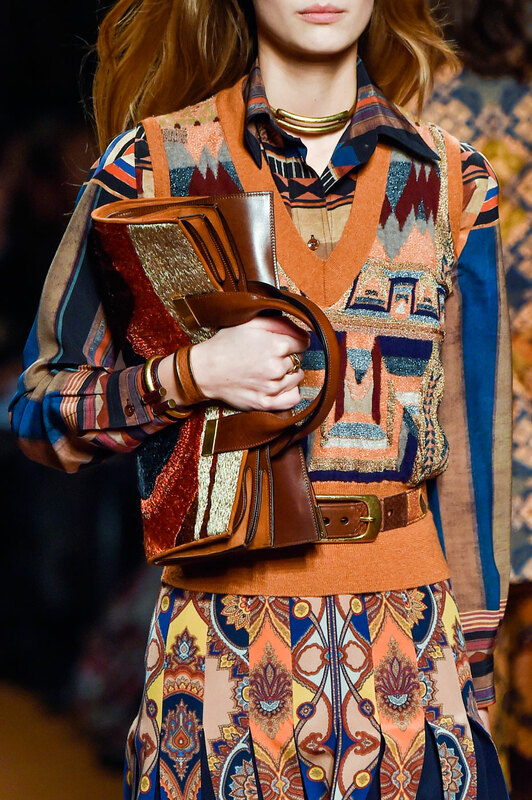 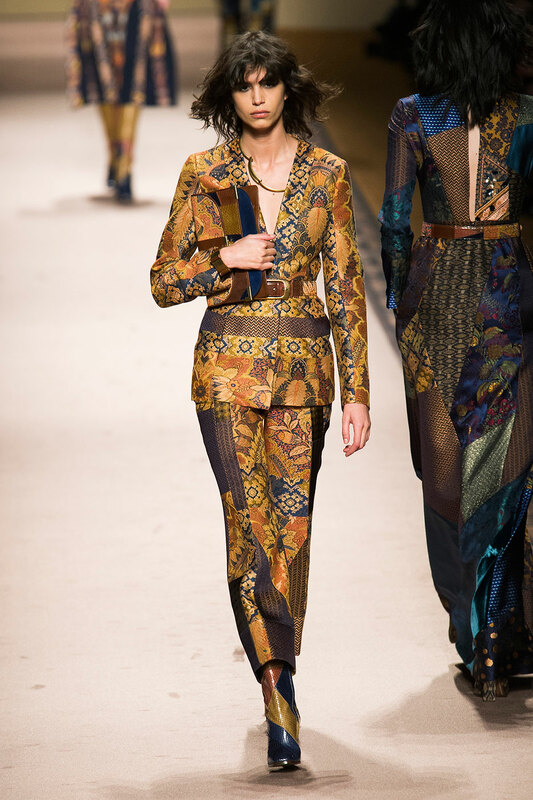 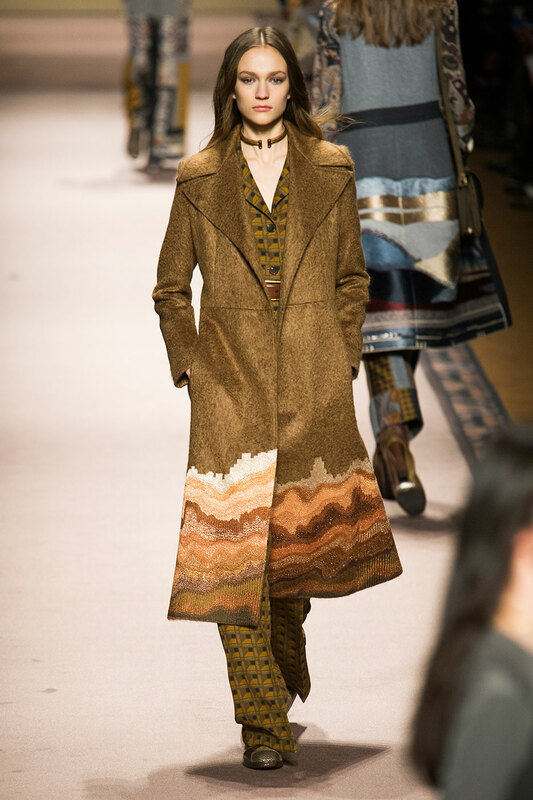 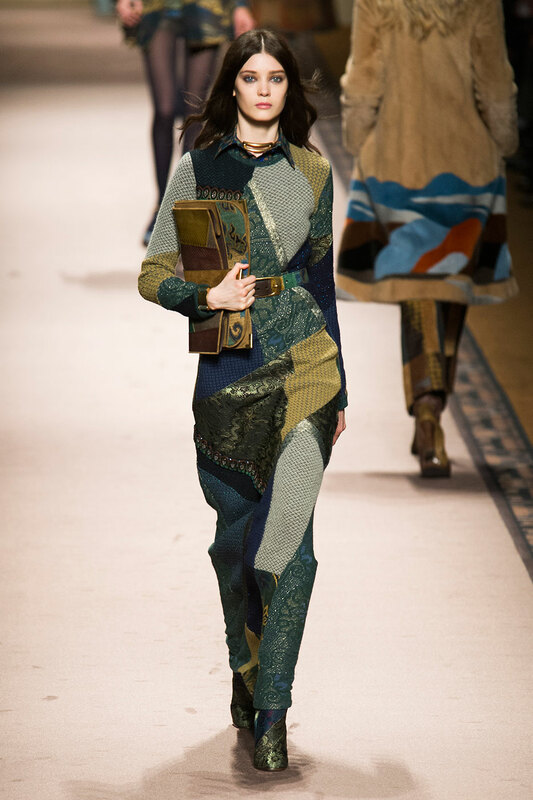 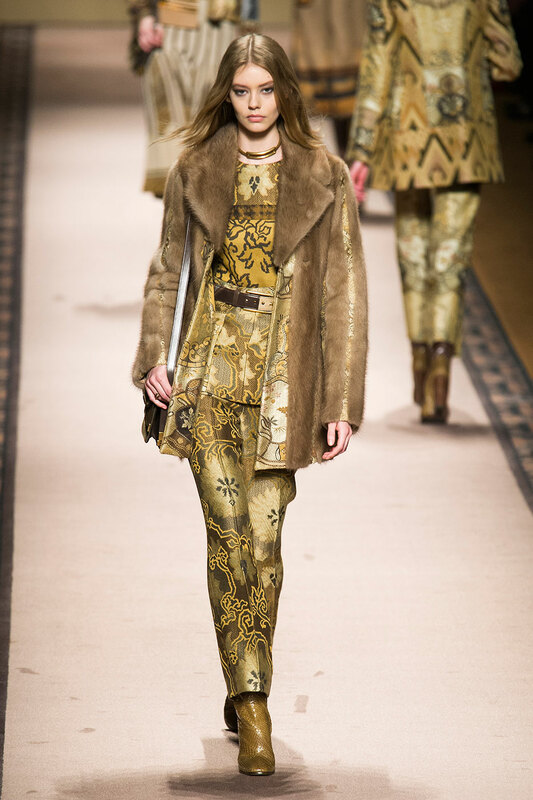 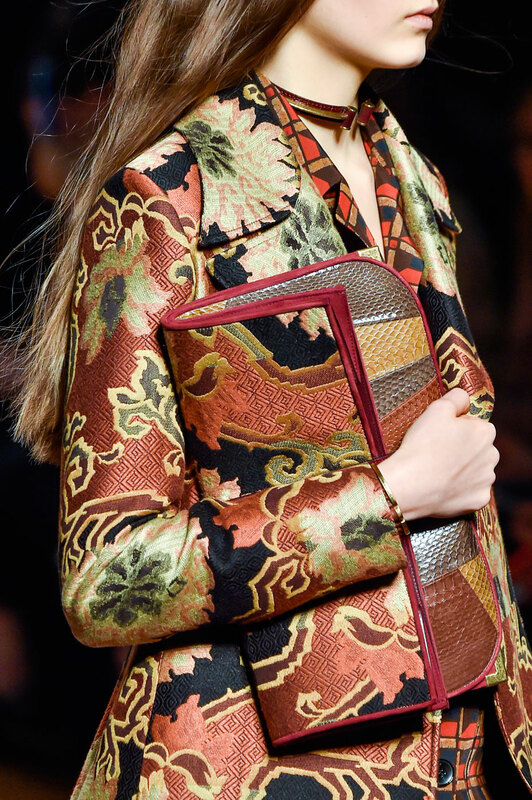 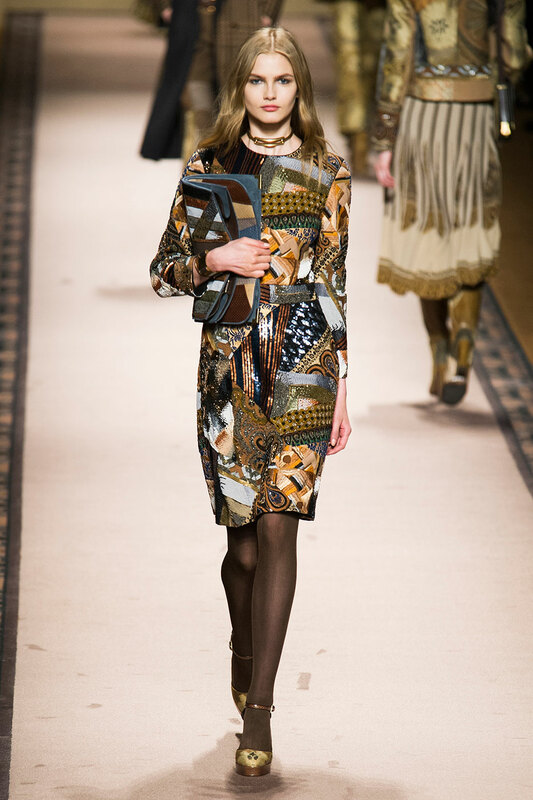 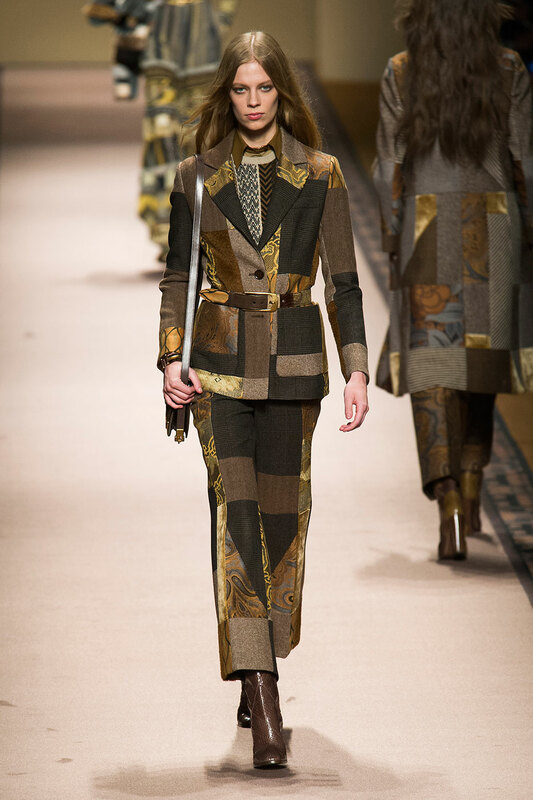 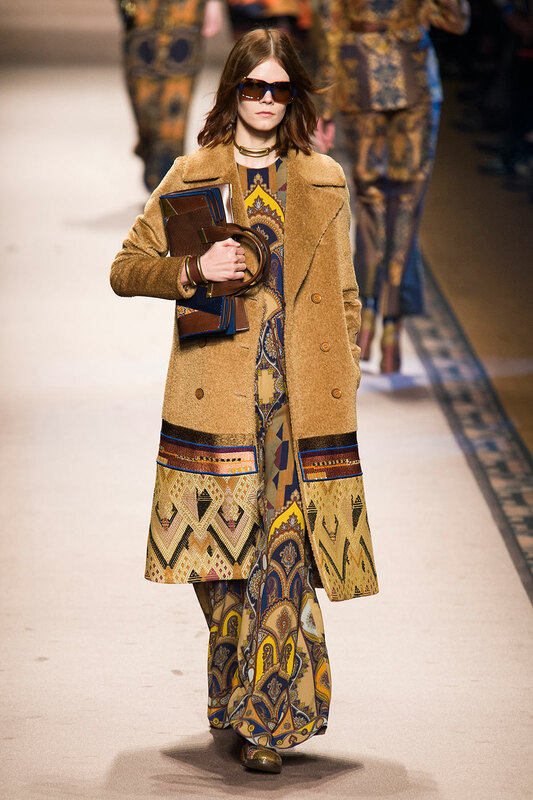 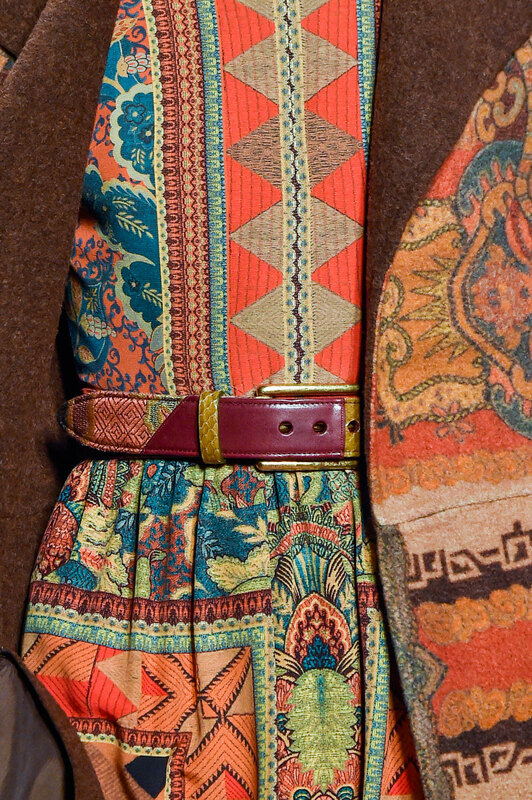 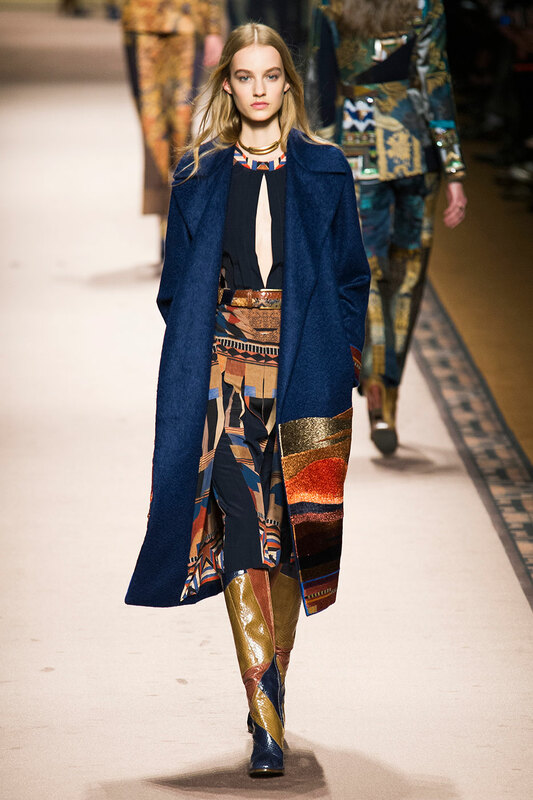 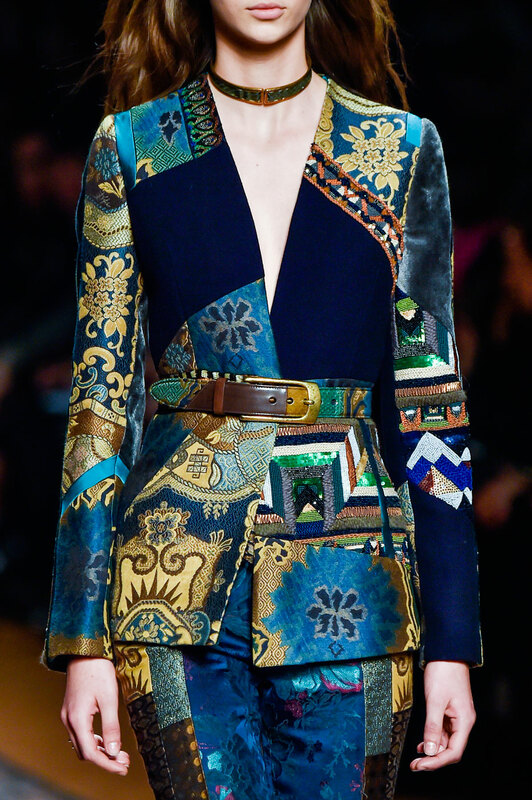 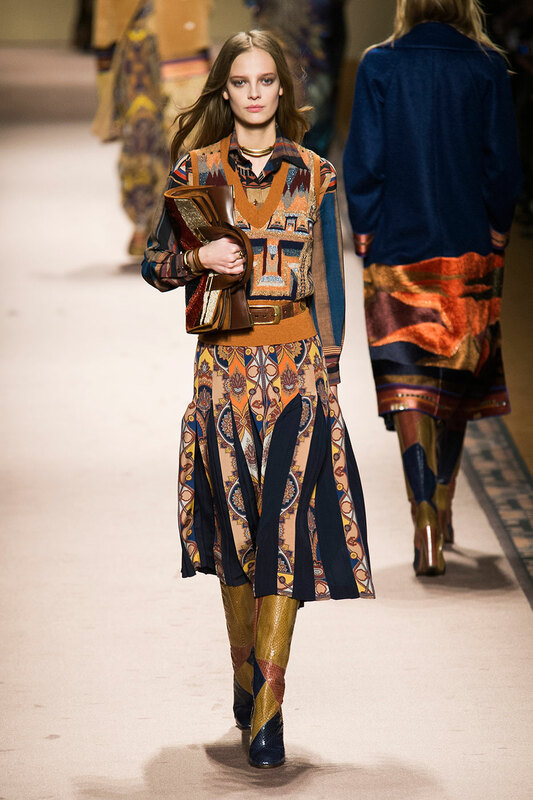 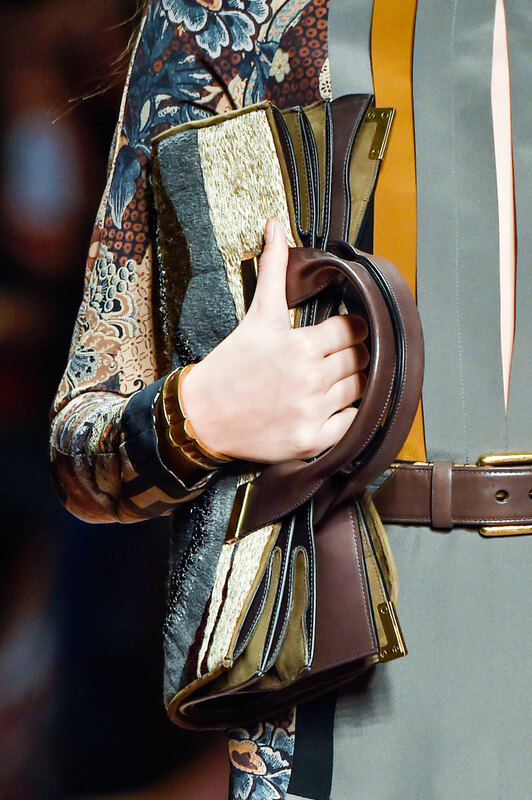 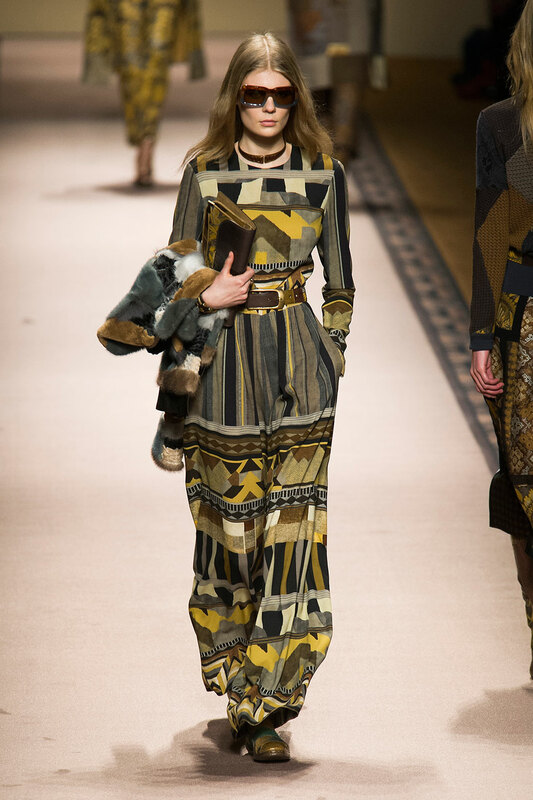 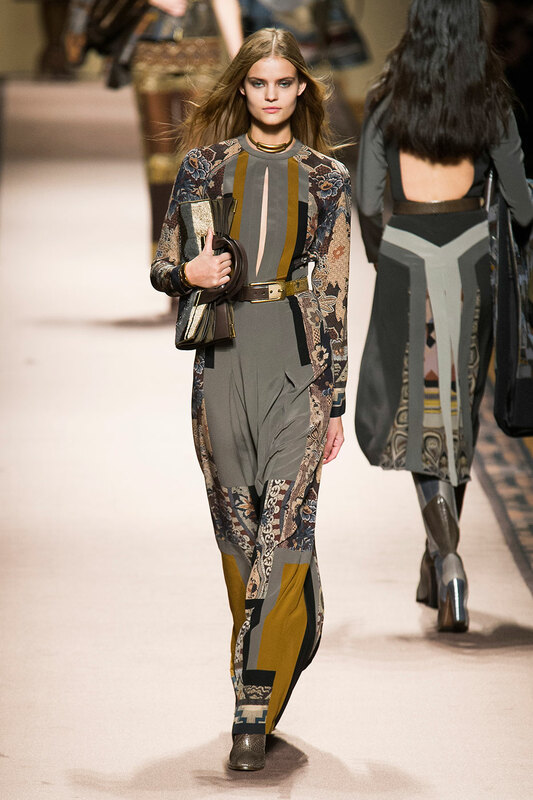 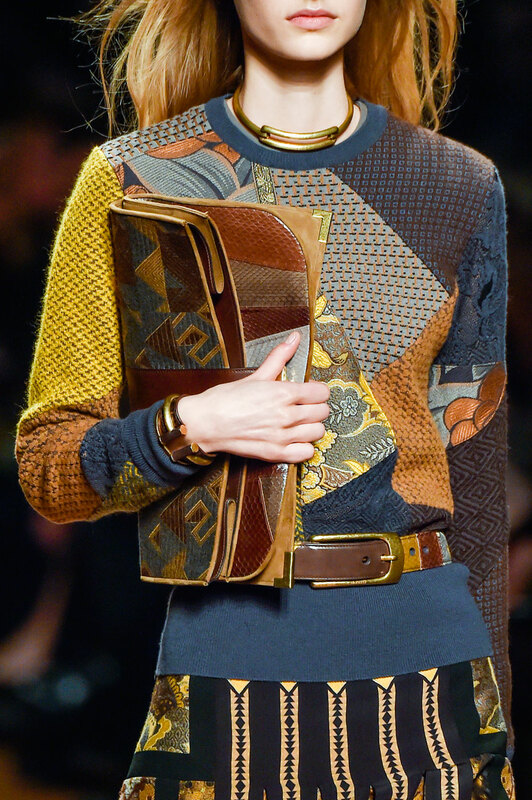 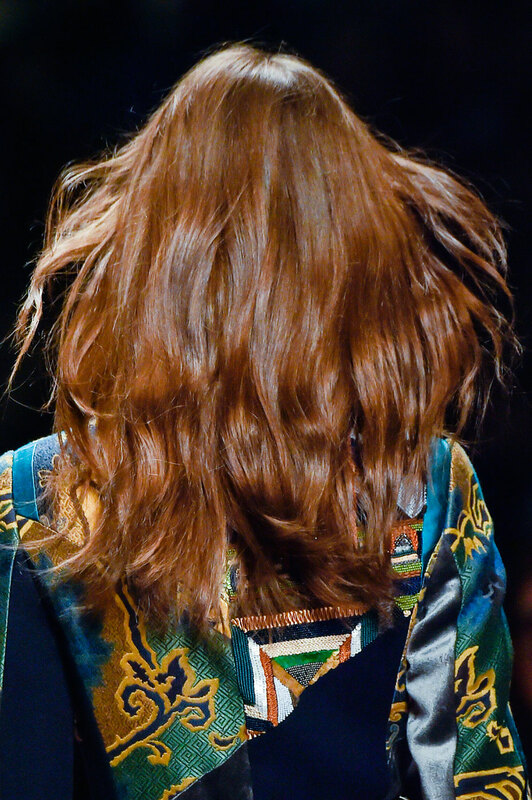 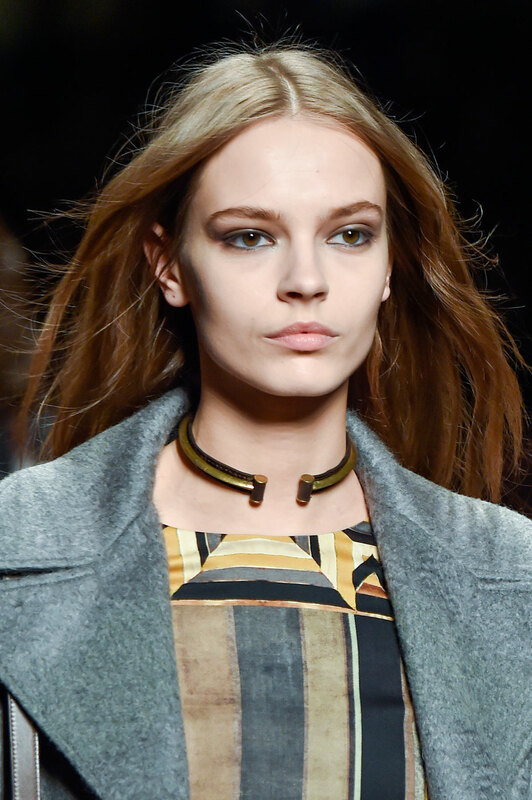 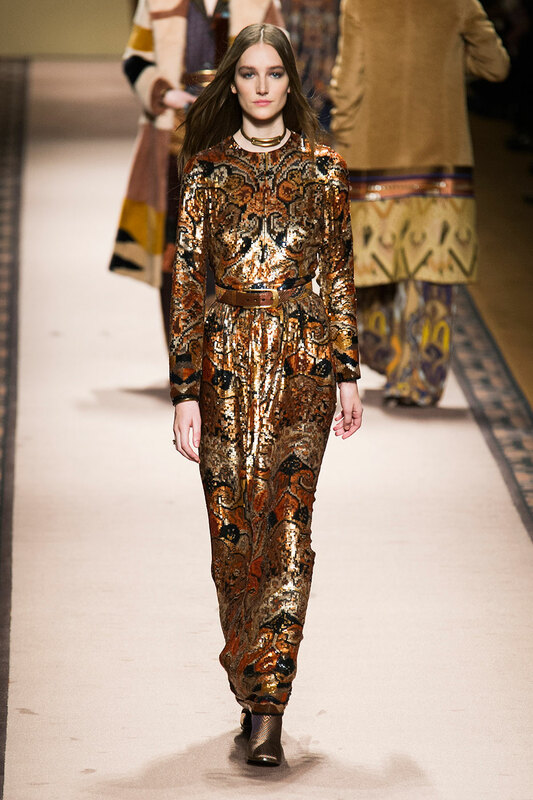 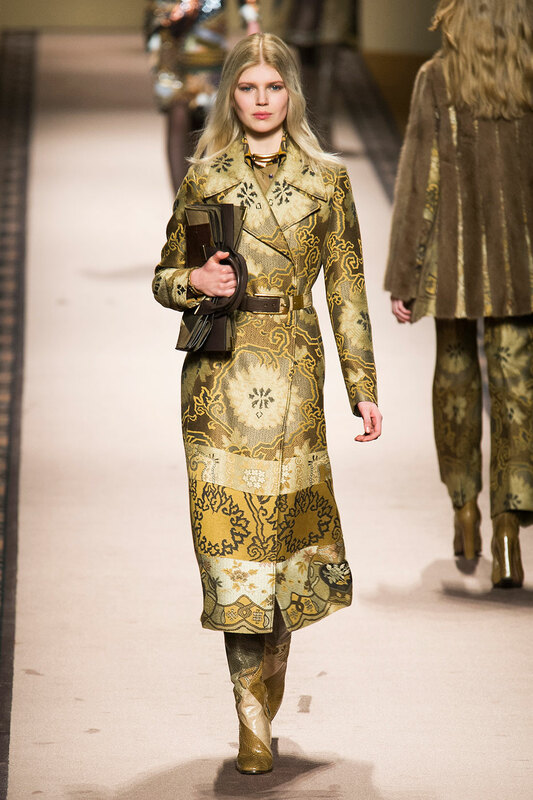 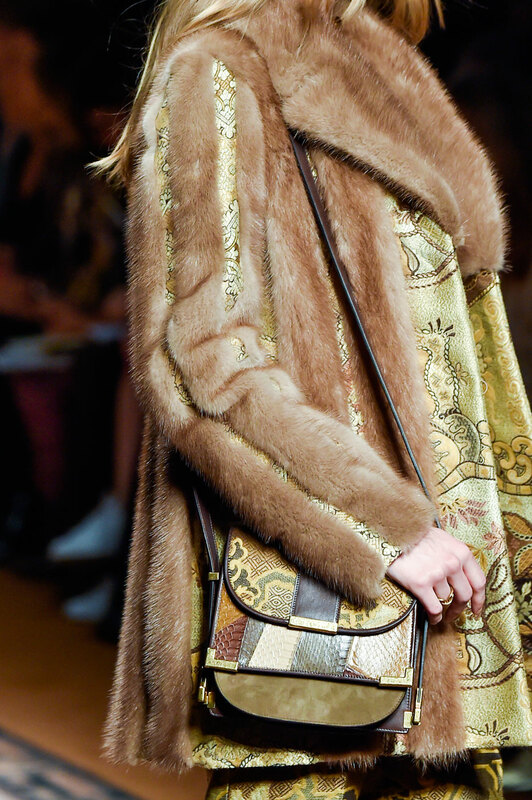 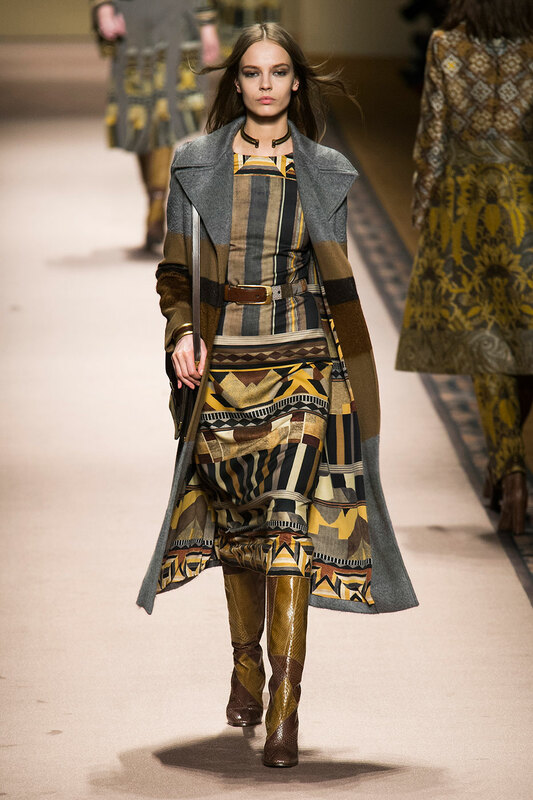 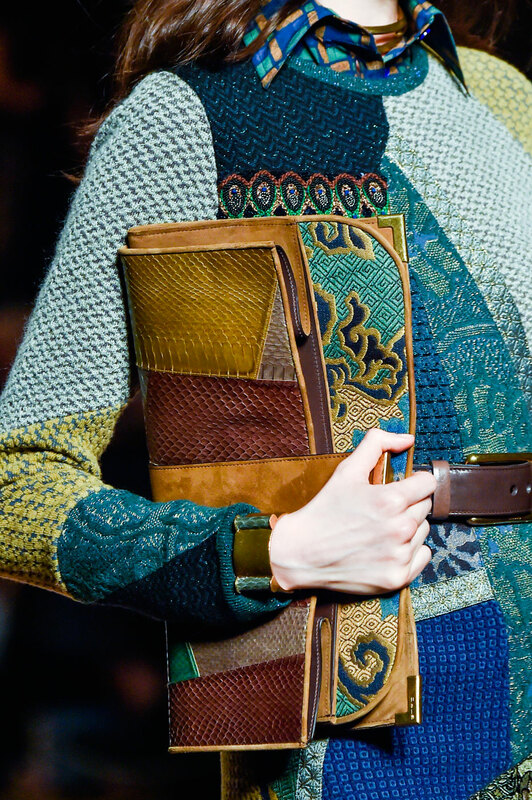 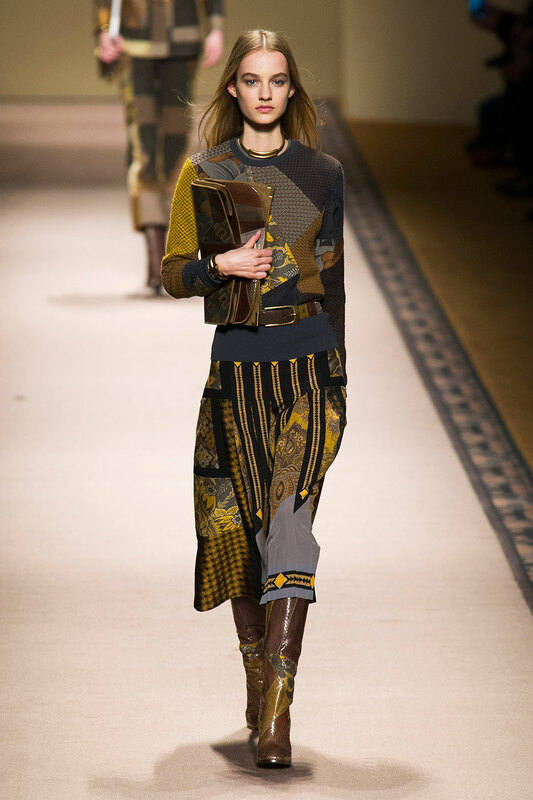 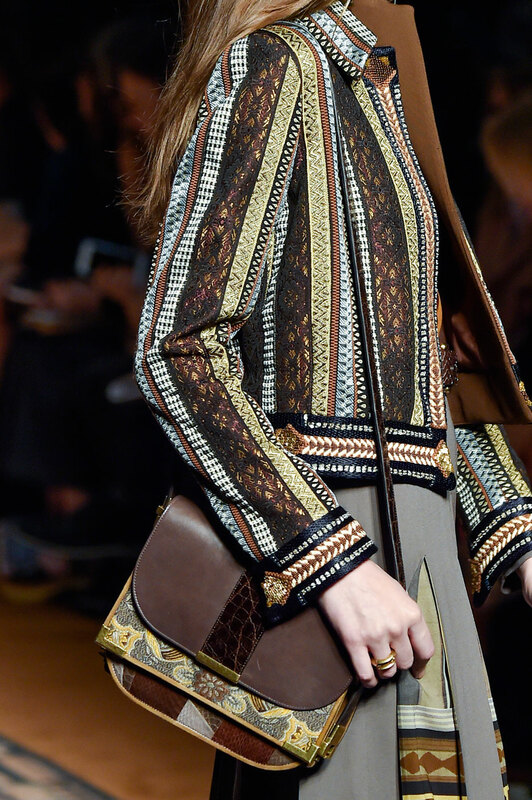 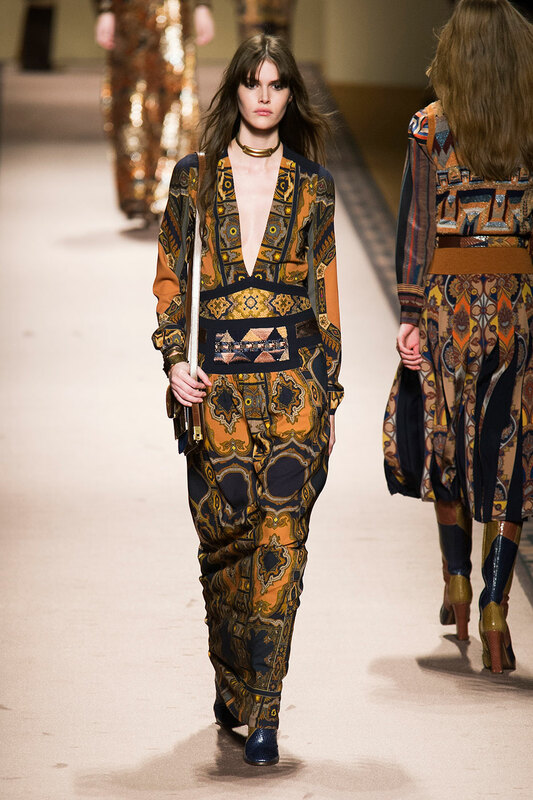 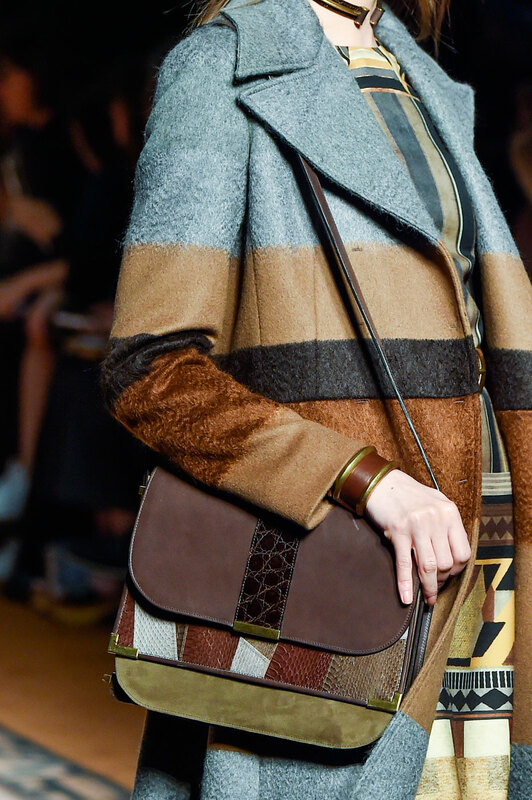 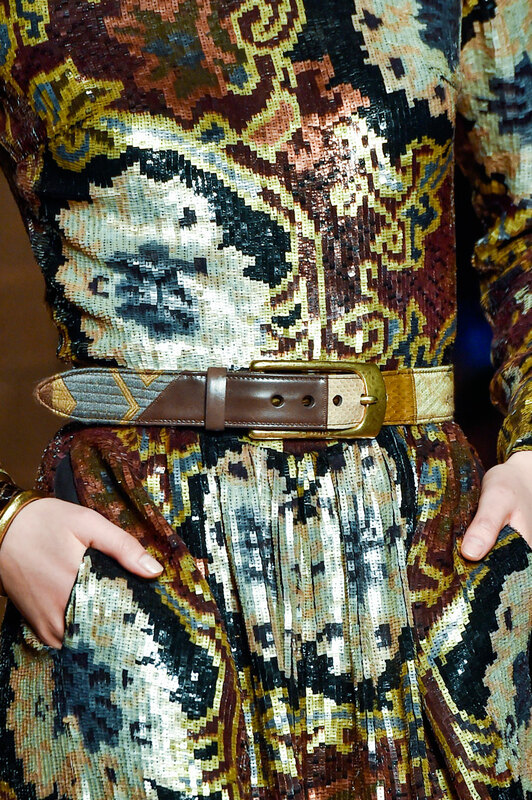 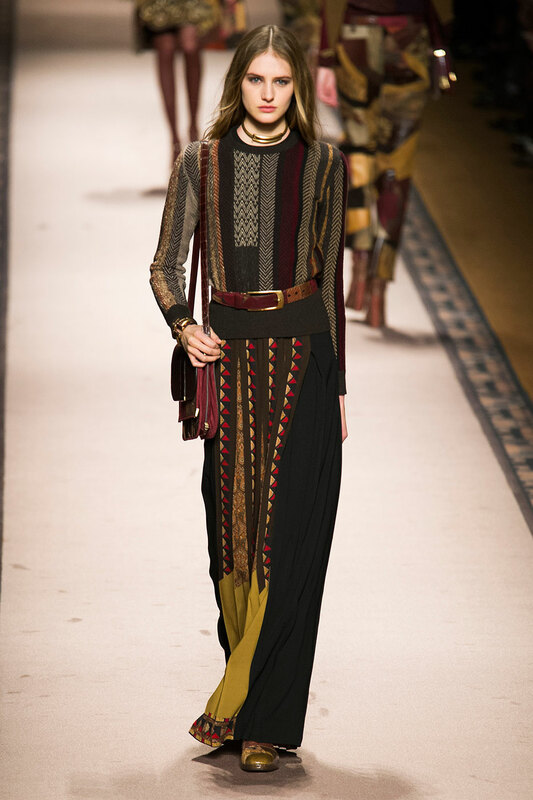 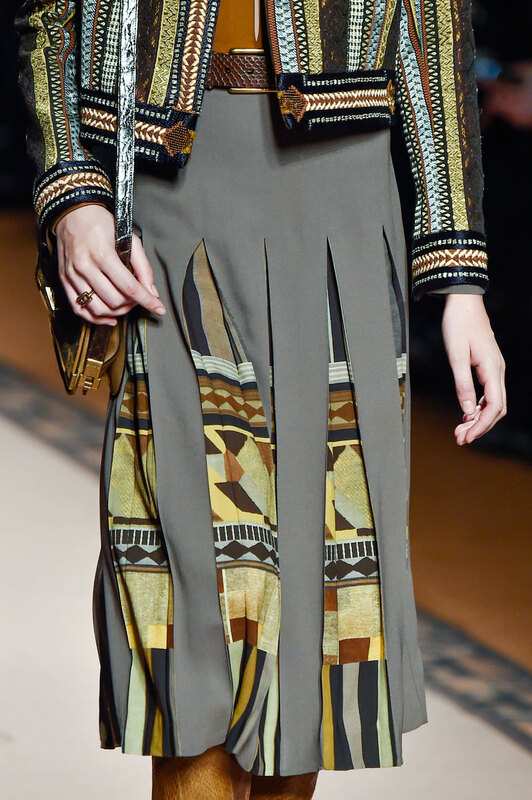 Etro Women Autumn-Winter 2015 - Veronica Etro’s traditional approach had a 70’s home interior vibe. 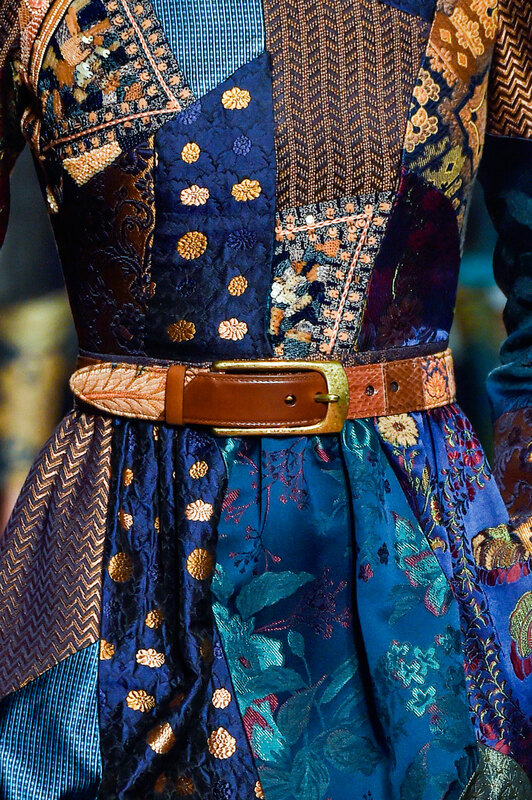 Although presenting the era’s comeback slightly later than other designers, her romantic ornate prints were utterly beautiful. 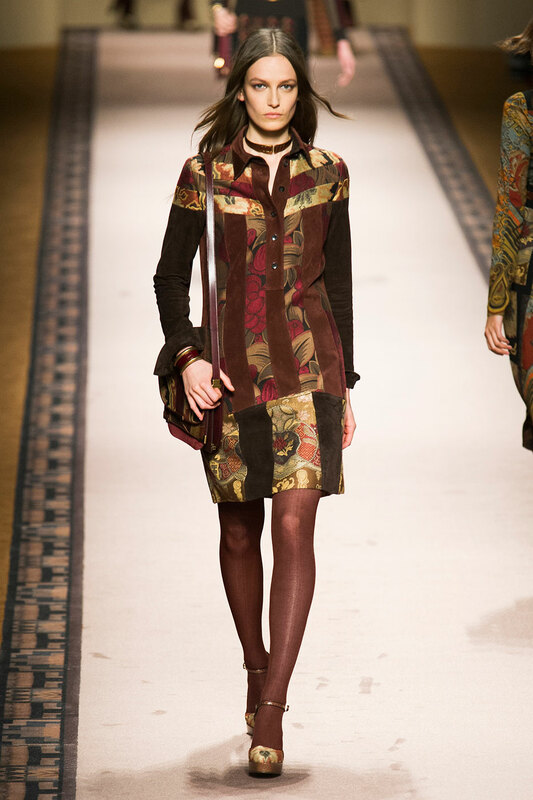 The collection had a very soft and warm feel with expressive patchwork, her reference for the show being “bourgeois formality”. 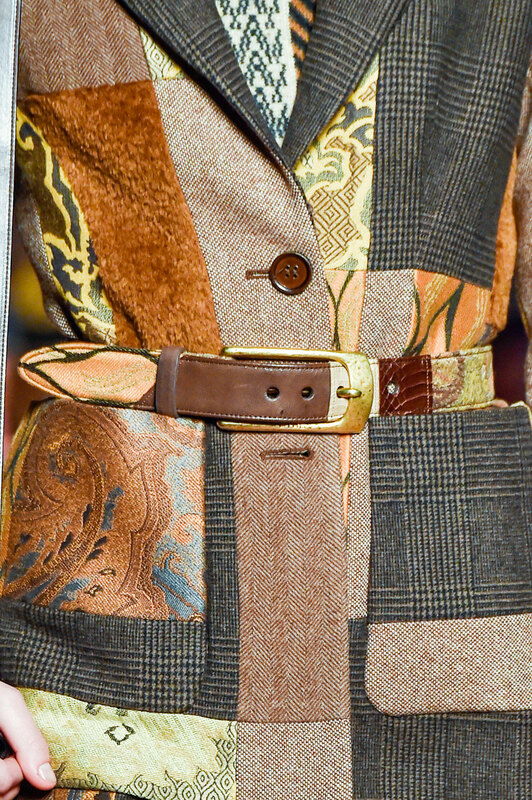 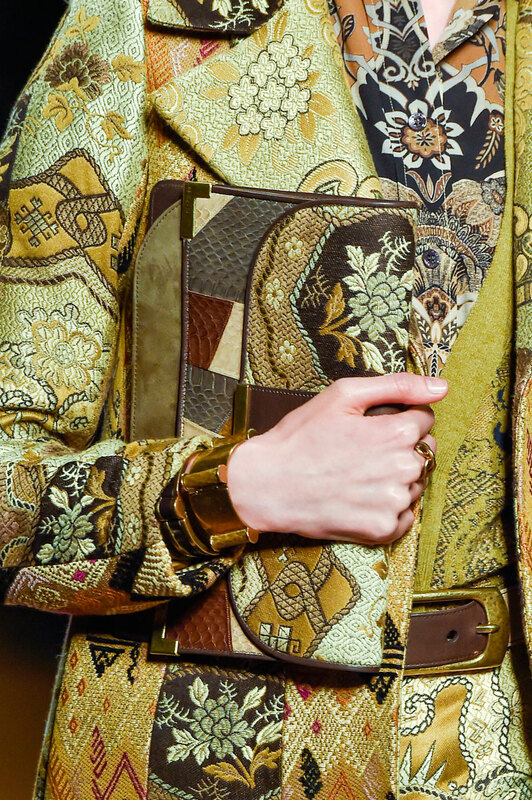 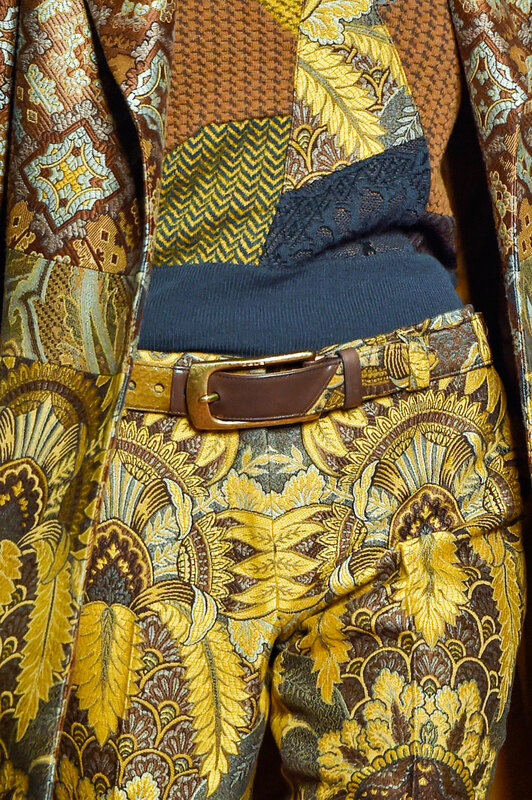 Etro’s wallpaper prints were crafted on indulgent materials, with gorgeous tapestry designs all rich in texture. 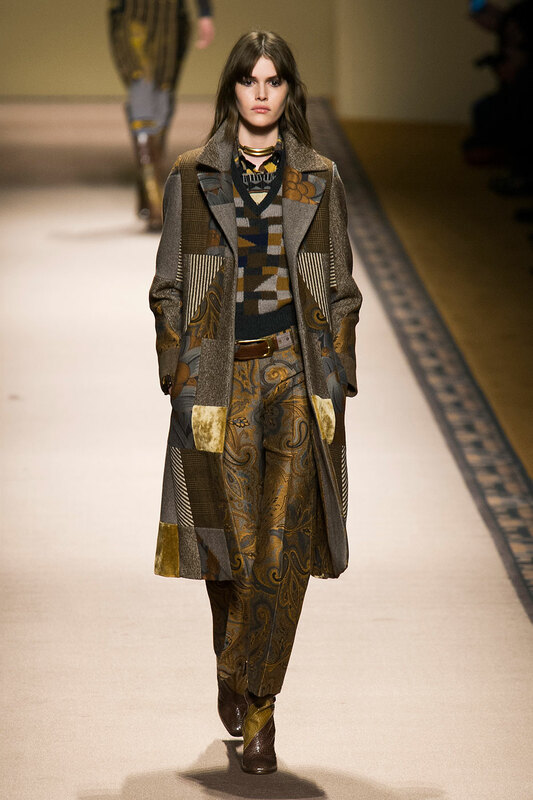 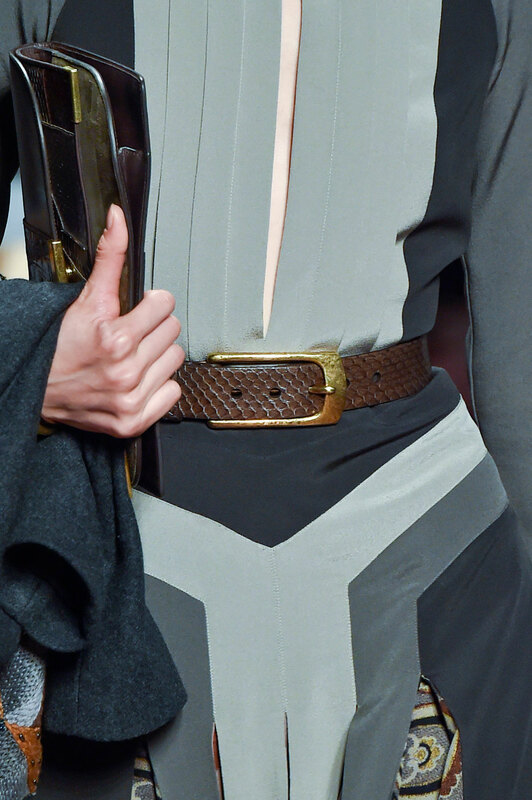 The fabrics, all stitched together, stood out amongst sharply tailored coats and delicate silk inserts. 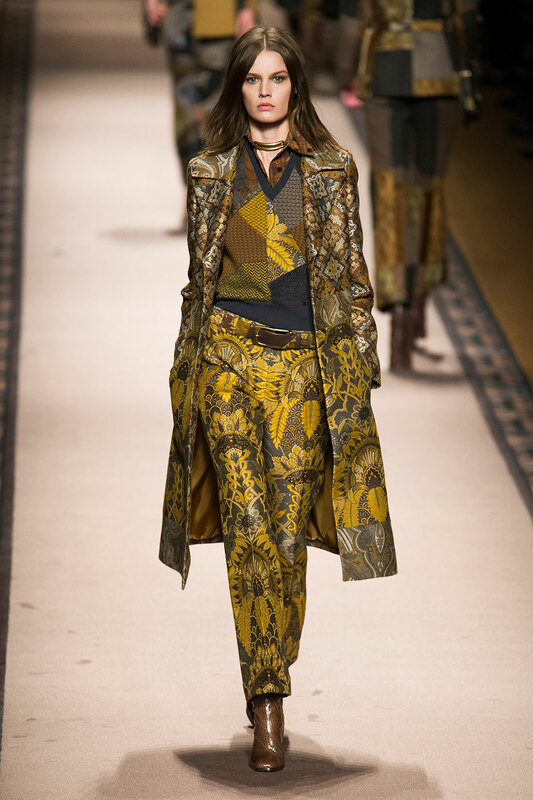 Paisley and wide cut trousers announced the 70’s presence, the mix of browns, mustard yellow and intense blues complimented these pieces. 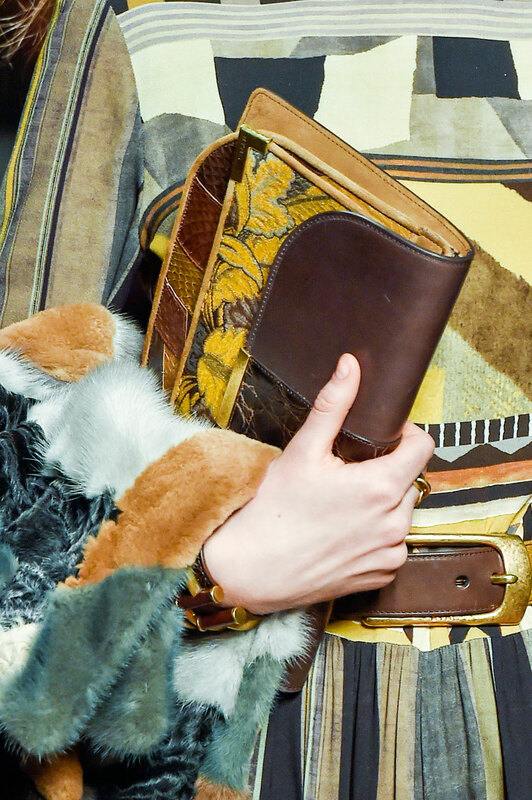 The collection as a whole is gorgeously crafted, the blend of suede, fur, brocade and knits all enhancing the beauty and thought behind each design. 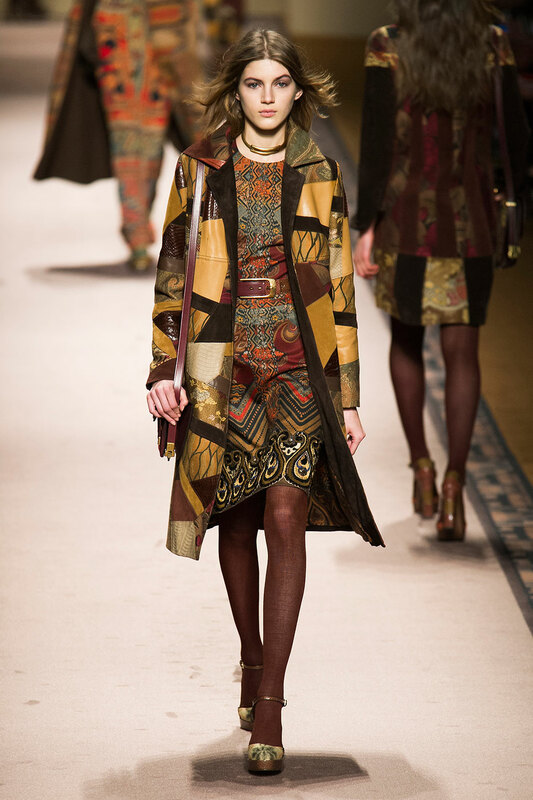 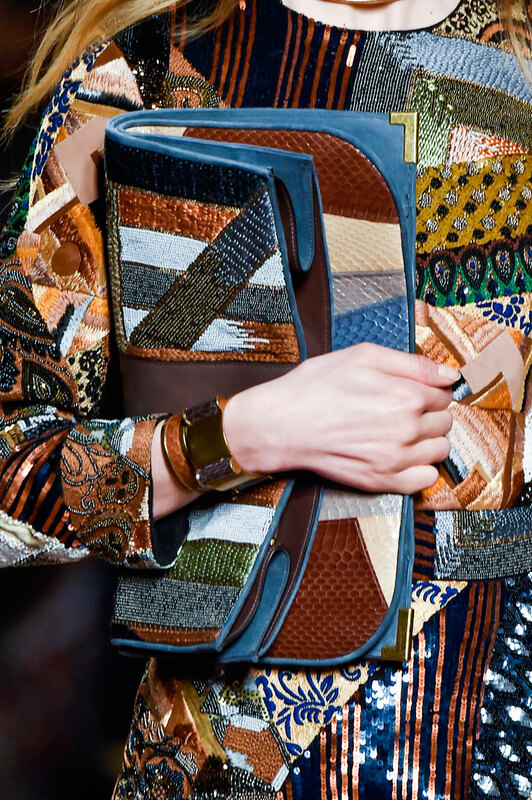 The looks all have a focus on the quality of the textiles, making an ancient statement but most importantly illustrating the impressive skill of Veronica Etro herself.